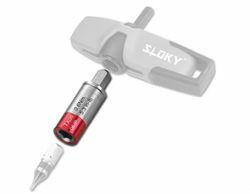 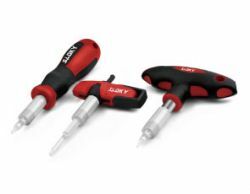 Single piece of Sloky Preset Torque Screwdriver with 25mm and 50mm bits; TORX® , TORX PLUS® and Hexagon are avaliable. 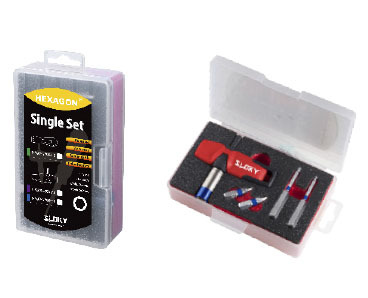 Three types of handle including Universal, Slim-Fit and T-Flying for ease of use and can apply to various applications like Cutting Tools, Shooting/Hunting, Circuit board, Tire pressure detector, Bicycle, DIY Market, Drum, Lens, 3C devices, Golf Club and so on. 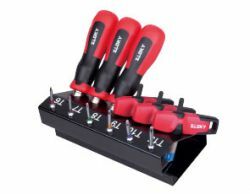 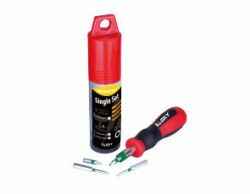 Torque Screwdriver of Slim-Fit Handle type for TORX® Single Set. 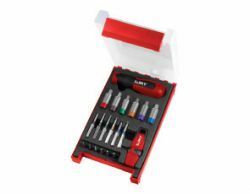 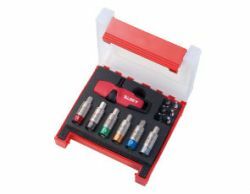 Contents: Case x 1, Torque Screwdriver x 1, 25mm bits x 2 pcs + 50mm bits x 2 pcs. 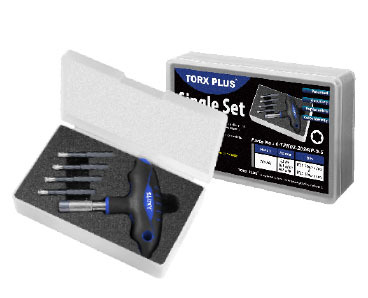 Torque Screwdriver of Universal Handle type for TORX® Single Set. 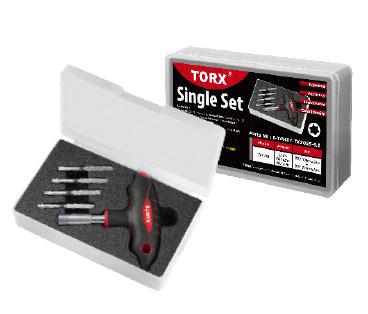 Torque Screwdriver of T Flying Handle type for TORX® Single Set. 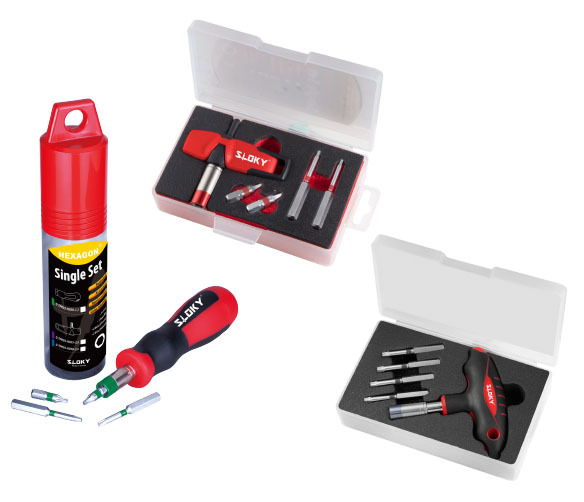 Contents: Case x 1, Torque Screwdriver x 1, 50mm bits x 4 pcs. 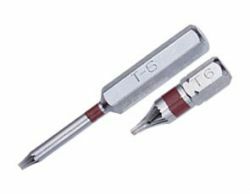 0-TPK01-TX2025-5.5 TPK-H03 5.5 56.1 48.7 TX20 x 2 pcs. 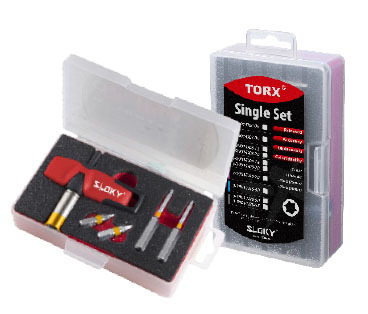 / TX25 x 2 pcs. 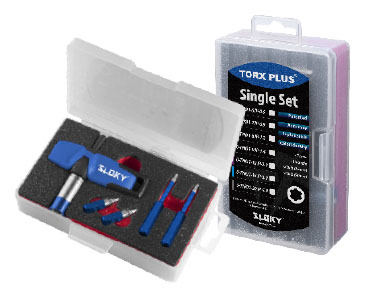 0-TPK02-2025IP-5.5 TPK-H03-B 5.5 56.1 48.7 TX20 x 2 pcs. 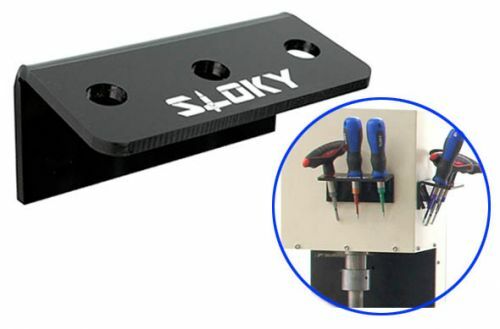 / TX25 x 2 pcs. 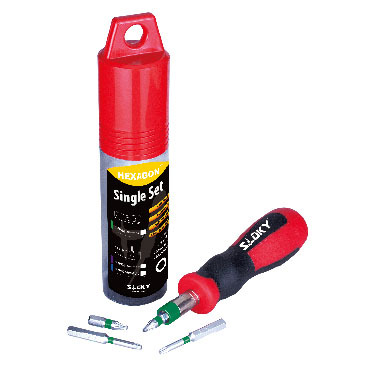 Torque Screwdriver of Slim-Fit Handle type for Hexagon Single Set. 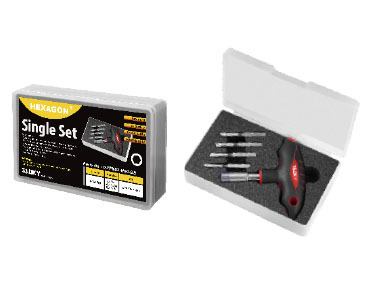 Torque Screwdriver of Universal Handle type for Hexagon Single Set. 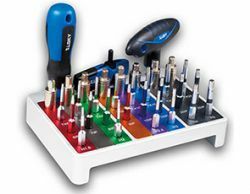 0-TPK03-H040-5.0 TPK-H03 5.0 51.0 44.3 H4.0 x 4 pcs.